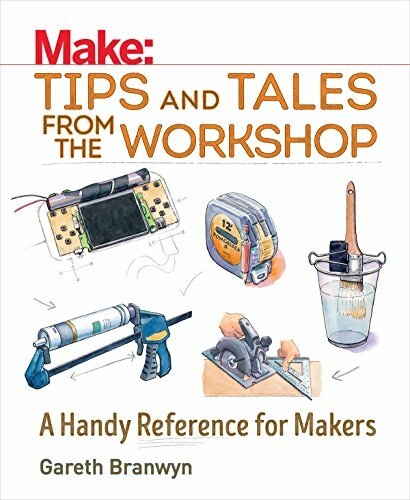 This bench-top reference collects hundreds of ingenious and indispensable shop tips and pearls of wisdom collected by the editors of Make: and some of the most talented and prolific makers who've contributed to the magazine and Maker Faire over the past decade. Inside you'll find tips for measuring and cutting, gluing and fastening, clamping and joining, drilling, shop organizing, maintenance and repair, and more. The topics covered run the gamut from traditional shop-craft to electronics and soldering. You'll also encounter fascinating tales from experienced makers whose personal stories illuminate their favorite tools and best discoveries. Illustrated in full color with photos, drawings, and comic strips, Tips and Tales from the Workshop will entertain and enlighten while inspiring you. Get ready to smack your head and ask yourself, "Why didn't I think of that?"